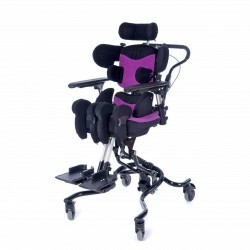 Mygo Seating System allows therapists to optimise the postural care of children with moderate to complex special needs. The Mygo is bigger, better and stronger. 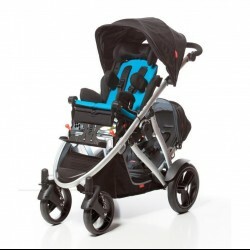 The seat base, backrest and pelvic harness have been reinforced just as you requested, and its Size 2 can accommodate wind sweeping of up to 10° and up to 30° abduction. 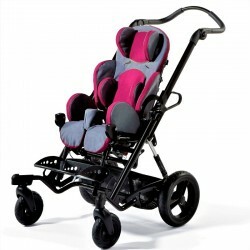 The Mygo Seating System’s trunk and head supports can be individually tailored to match the needs of each user. 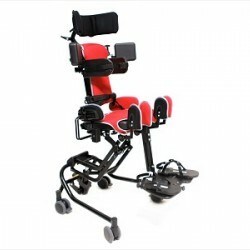 Indoor Hi-Lo Base - Utilise the positioning and comfort benefits of the seating unit indoors on a Hi-Lo Base for maximum inclusion and convenience for feeding.